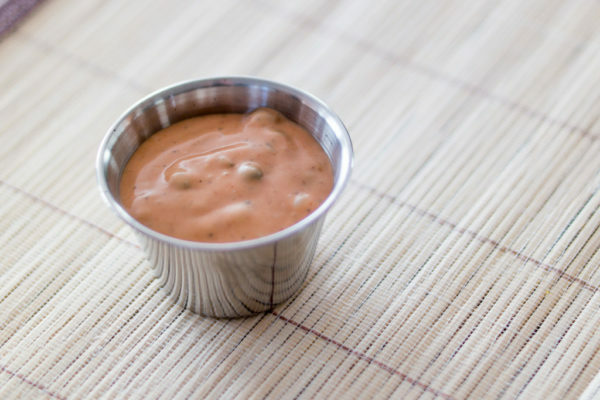 Spicy wasabi remoulade sauce is perfect with tuna cakes or any seafood. In fact, it’s good on most anything needing a spicy, creamy sauce: french fries, sandwiches, and Brussels sprouts all come to mind. Combine all ingredients in a bowl and stir until smooth. Cover and refrigerate.